With thorough understanding of this business industry, we are engrossed in providing Brand Designing Services to our clients. Due to our personnel’s knowledge, we are able to meet the detailed needs of the clients within the given period of time. We have adroit employees, who offer these services in agreement with the defined guidelines. Clients can avail Brand Designing Services from us at the most cost effective rates. Our organization has been successful in building strong business relationships with reputed clients based across the country. We focus on who you are and what you stand for, We ideate and design concepts that extend your brand to a valued product. Design is our forte and we offer a die-hard commitment to outdo the clients' expectations. An overall brand redesign to match the unrivalled resplendence and reputation of Mahabaleshwar's highest sited resort. An engaging visual experience is paramount to the success of delivering your branding, advertising or marketing online. Whether you require help to position, to lead and to innovate your brand online – Paradigm Plus has the team, and creativity to deliver every time. We help brands design from concept to print for marketing collaterals and OOH collaterals. We reduce your time to market by designing and printing in one roof. The face, the look is much important as the behavior of the service/product. Our visual strategists will craft a brand which is an essence of cultural compendium, memetics and user needs. We create the communication which will help you to create the awareness, launch the service and sustain it. : We design & brand your product to find its identity in the market as you want it to be, we develop a image of your company that reflects your work and ideas towards your business. 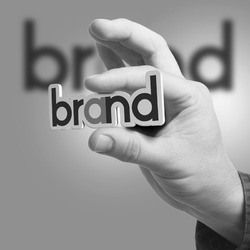 we help to create a new brand and we know how to brand it.